One of my readers emailed me after my last post, which was on new year resolutions and my desire to make French cheese puffs, and asked me how I expected to lose seven pounds (another one of my resolutions) while eating gougères. Point well taken. So, I decided to investigate how I could work something bright and fresh into my canapé repertoire. I was looking for something that would dazzle without all the carbs and calories. It’s always fun to imagine your most beloved meals, then try to break them down into bite sized pieces. 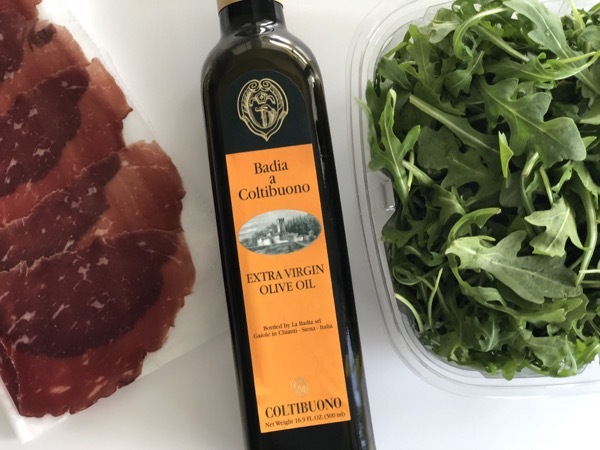 One of my favorite things to order in an Italian restaurant is arugula and bresaola salad. I adore the textures and interplay of flavors. 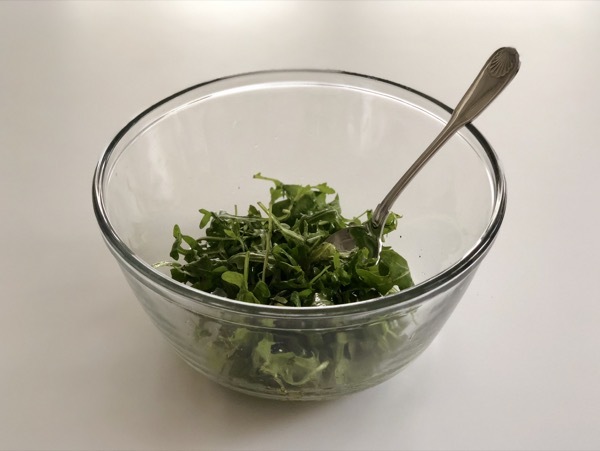 It’s typically prepared with very thin slices of air dried beef topped with peppery arugula and shaves of tangy aged Parmesan cheese. Bresaola is a specialty in the Alps in northern Italy. It is made from top round cut of beef, and is lean and tender, with a sweet and slightly musty smell. Unlike prosciutto which is made of pork, bresaola is almost completely lean, with very little fat running through it. And while it’s pricey, because it is best sliced paper-thin, a little goes a long way. 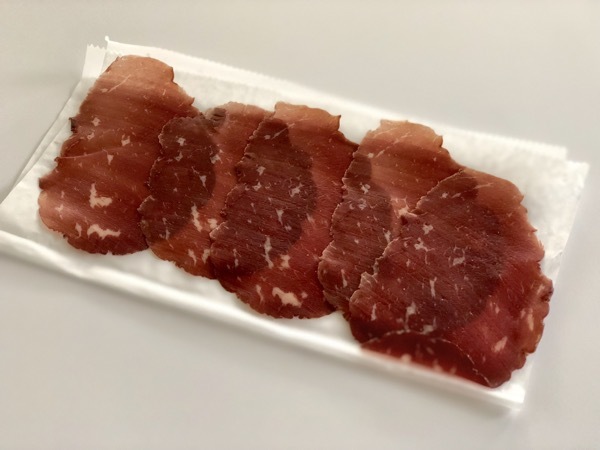 You should be able to find bresaola in a good Italian deli, specialty store and some fine grocery stores. 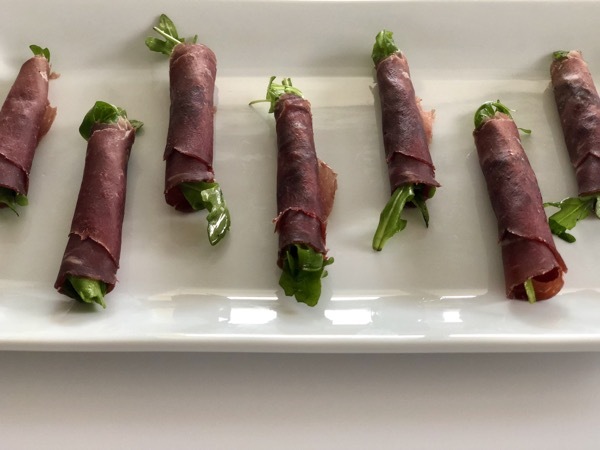 For a canapé take on this classic I decided to lose the cheese and simply roll up the beef with barely dressed arugula for a fresh bite that’s as much a feast for the eyes as it is for the palate. 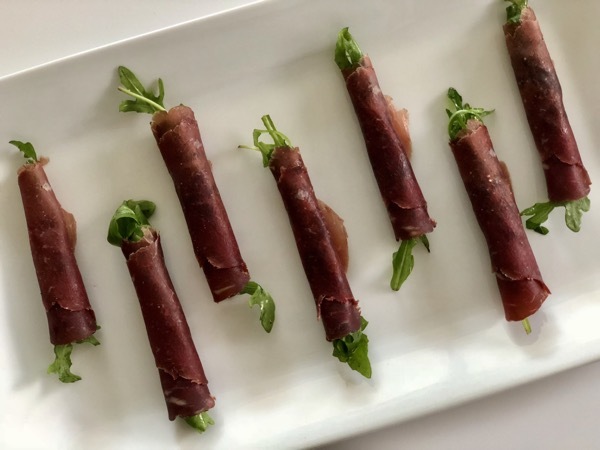 Bresaola and arrugula roll ups are as easy as one, two, three. 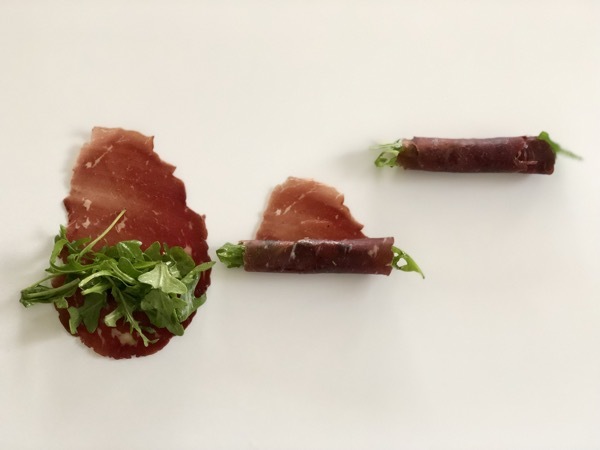 Lay the paper-thin slices of bresaola out in a line. 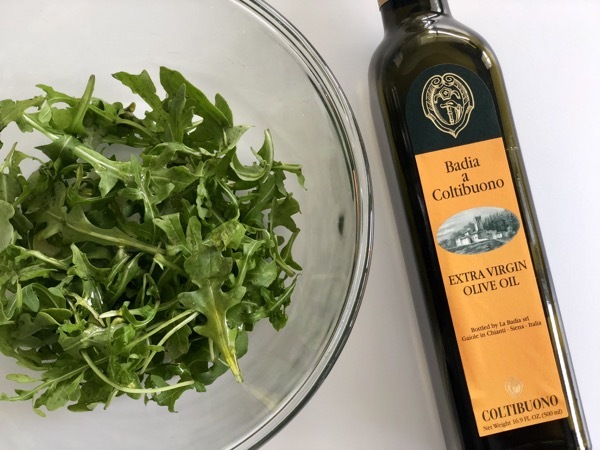 In a bowl drizzle the arugula with just enough olive oil to lightly dress. Season with kosher salt and plenty of freshly ground pepper and toss. At the wide end of the slice of beef lay arugula out in a line so that the some of the sprigs fall over the edge. Roll up into a tight cigar. The roll ups can be made an hour ahead of time. 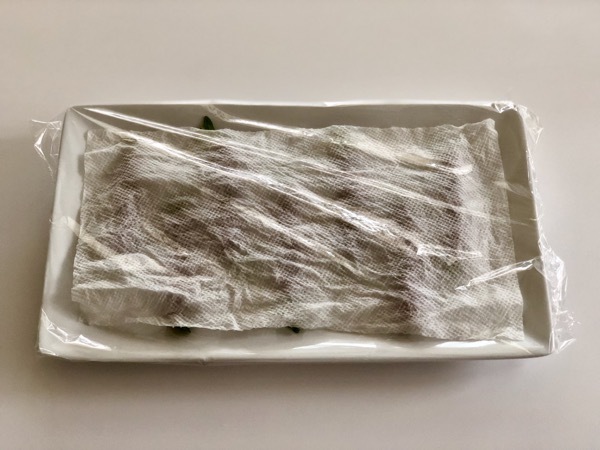 Cover with a barely damp paper towel then plastic wrap and refrigerate. I think I'll be entertaining a new dress size soon! You are so cleaver, thanks Sandy.